The coachbuilding craft was in desperation after World War II. Many of the marques had brought the styling, designing and building of the vehicles in-house. The availability of suitable chassis also dwindled. At this time, many prominent coachbuilders worked hard to form alliances with marques, especially the American Companies who had deep pockets. 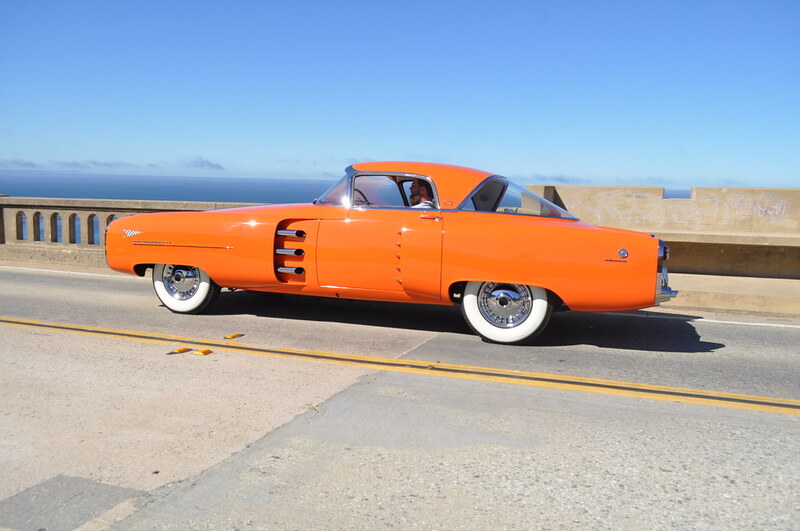 Ghia created a relationship with Chrysler; Bertone with Packard; and Touring with Hudson. This companies looked to the coachbuilders for new designs that were bold and inspiring. Felice Mario Boano had acquaintances in the Ford Motor Company who were instrumental in aiding Boano in securing projects. Henry Ford II had just recently taken control of the company from his father, Edsel Ford. He was anxious to bring the Ford Company into a modern era and so, supplied Boano with a Lincoln chassis. Felice Mario gave the job to his son, Gian Paolo. Gian Paolo had gained knowledge of the family craft from Liceo Artistico and then apprenticed in his father's company. The wealth of knowledge and experience of the skilled artisans and the family business were nurtured from one generation to the next. One of his first series production vehicledesigns was the Lancia Aurelia 2000 while working at Ghia. His designs had Italian style with influences of the contemporary American automobile. The project was intended for the 1955 Turin Motor Show. It was given the name 'Indianapolis', after the legendary race. The design was very futuristic, and probably inspired by airplanes and aviation. The result was a flamboyant and bold, but elegant concept. The design was graceful and full of detail. Little time had passed from when Ford commissioned the car to be built, to when it was on display at the Motor Show. The result was stunning, and led to Ford extending a contract to Boano. Felice Mario informed Fiat of the contract, which led Fiat to form the Centro Stile department. Boano was select at its leaders. Boano sold their coachworks to Ezio Ellena who was the husband of Gian Paolo's sister. The vehicle has three chromed faux exhaust pipes on the sides of the vehicle. Sitting directly behind them are tall air intakes with five chromed air splitters. There is no visible cooling air intakes in the long, front nose of the vehicle. The headlights are stacked with two on each side. The wheels are nearly covered under the fenders. The windshield wraps around and gracefully flows into the side windows and continues to the rear where it is met by another, wrap around piece of glass. The interior is very clean with many of the instrumentation hidden away. A touch of a button reveals the drop down instrumentation. The car has made an appearance at the Pebble Beach Concours d'Elegance, along with other prominent events and shows. The 1955 Lincoln Indianapolis Exclusive Study with coachwork by Boano was offered for sale at the 2006 Gooding & Company Auction held in Pebble Beach, Ca. The car is powered by a V8 engine that produces over 200 horsepower. There is a four-speed automatic gearbox, independent front suspension, and a live rear axle. At auction, the car was one of the highlights of the event; a duty it has been performing rather well since it was created many years ago. It was flanked by many other impressive automobiles and was one of the top sellers of the day. At the conclusion of the auction, the car had been sold for $1,375,000.